America native, Jane Stoddard Williams, is a host and executive producer of the weekly radio program “Bloomberg EDU”. The accomplished broadcaster and radio interviewer is the wife of NBC and MSNBC’s chief anchor Brian Williams. The lovely couple married in the year 1986. The wedding was in First Presbyterian Church of New Cannan, Connecticut. There is a mutual understanding and trust between the pair. Hence, the soulmates have been flourishing without any disputes for a long time since. The wife of a 59-year-old American journalist, Jane, is a renowned figure and has managed to grab several Emmys. The freelance television producer of Panorama, Willams, is a mother of two children- Allision Williams and Douglas Williams. However, Jane has successfully managed to keep both her work and family hand in hand. Jane Stoddard and Brian Williams tied the knot in 1986 and is celebrating their 30th anniversary on 7 June 2018. 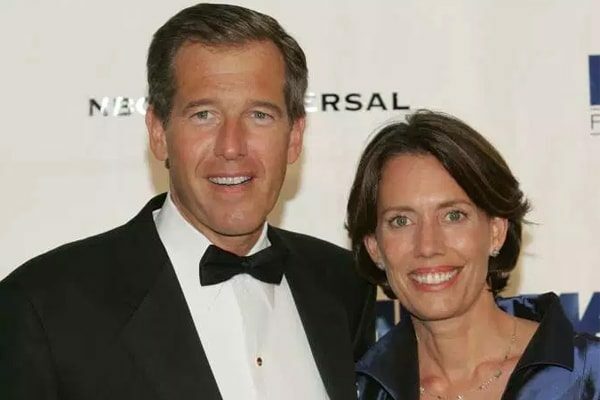 Brian Williams’ wife, Jane, has marked her identity in the media industry as a successful television producer. She has earned various recognizations. The interviewer, Brian Williams with his wife Jane Stoddard Williams. 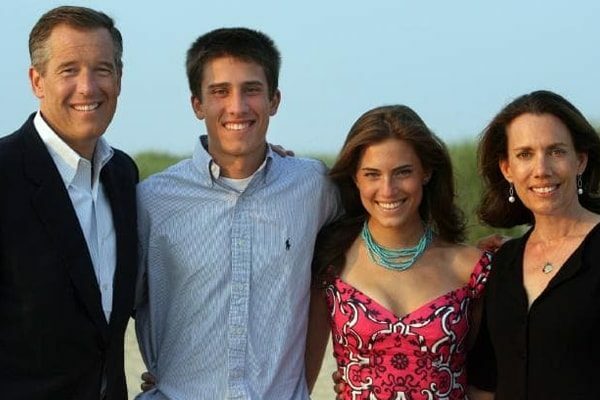 The managing editor, Brian Williams’ wife, Jane shares a beautiful bond with her husband and children. Brian is a devoted father and a caring husband who gives priority to his family above all. The active mother is doing an excellent job, keeping her married life healthy. In an NY Times interview, William’s son Douglas described his father as his best friend rather than a mentor. It wouldn’t be shocking to hear that Brian won Father of the Year title in 1996. 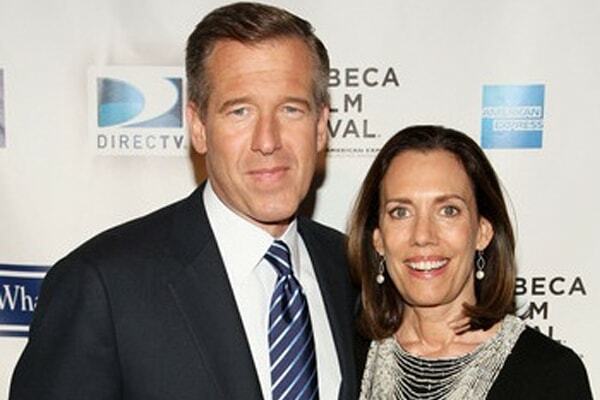 The duo, Brian Williams, and his wife, Jane Stoddard Williams, have two successful children. The pair’s daughter, Allison Williams is an actress, comedian, and singer. She has gained fame for her role in HBO’s television series, Girls. Likewise, Son Douglas is working for Yankee Entertainment Network. Brian Williams with his wife, Jane Stoddard Williams and children Allison and Douglas Williams. Image source: News AU. The daughter of Jane and Brian, Allison, is married to Ricky Van Veen in September 2015. And, Son Douglas is following his father’s path and busy creating an image for himself in the media industry.